Pipe smoking is an art that takes years of dedication and thought (you really need to know what you are smoking). The ritual of filling, lighting and smoking your pipe takes patience, don't worry you will eventually keep it lit... but it will take time. Over a period of time, you will start to develop your own techniques and rituals, you will soon start to feel as if you created the art of pipe smoking yourself! 1. It allows you to take a longer smoke break at work (People may start to talk about you though). 3. There are so many different types of pipes that you will never get bored of looking for a new one. 4. People automatically assume you're full of knowledge. 5. Blending! You can create your own blends. When choosing a tobacco it really comes down to what flavours you enjoy. There are so many to choose from and it seems like Cherry is the most popular. If you're the type of person who enjoys Rum and tropical fruits then try the Rattrays Tower Bridge - whatever your favourite profile there is a pipe tobacco out there just waiting for you to find it. If you don't know what tobacco to choose we thought we would help you. Personally I would reccomend the Peterson Sherlock Holmes pipe tobacco. It's a light flavoured aromatic virginia blend which possesses all the natural flavour and aroma associated with Premier Virginia tobaccos. Made from an old Irish recipe dating back to 1880 its one of the finest tobaccos around and was a firm favourite in the time of Sherlock Holmes. 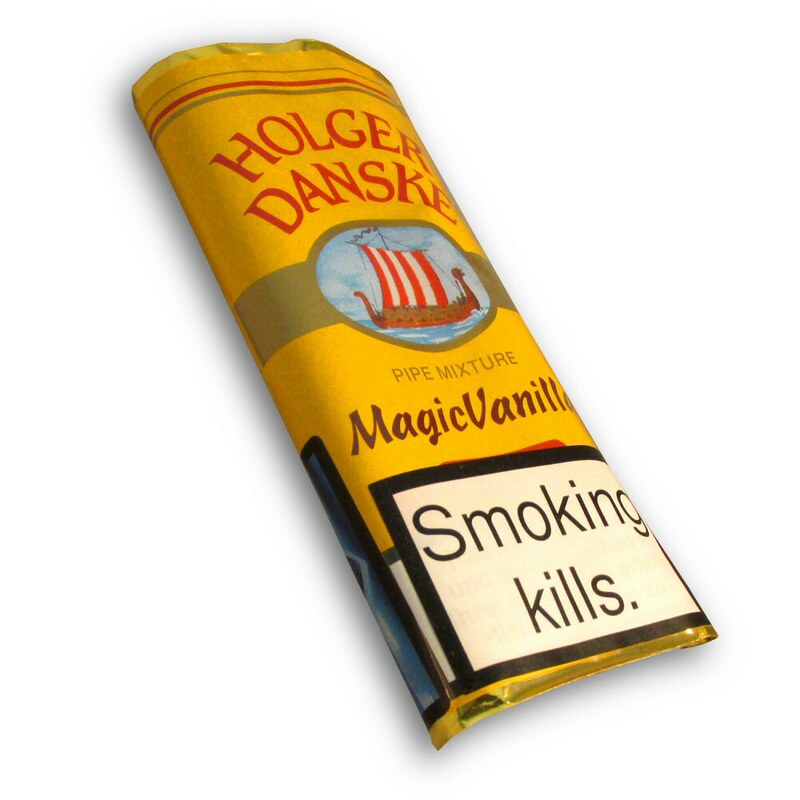 Another tobacco we like is the Holger Danske Magic Vanilla, it's not the most popular but it is packed full of flavour. A unique special blend of Virginias, Burley and Black Cavendish with extracts of fruit, making a delicate and extremely aromatic smoke with the sweet, magical taste of Vanilla.